Unlike right-libertarians, I aspire to a consistent libertarianism, valuing all forms of government, including corporate government, to and only to the extent that they empower individuals. This is not as simple as passivity toward individuals, but rather it entails all the complexity of positive empowerment. So I share many ideals with progressives, while sharing many concerns with anarchists. I suppose that makes me something like a left-libertarian minarchist. What does my pontificating have to do with the title of this post? Capital One provides me the latest example of corporate waste and bullying, of the sort right-libertarians hasten to attribute to state government (while they quietly apply for state government subsidies, protections and contracts). In September 2010, I financed an automobile with Capital One. This is the third time I've financed with them. The first two times were unremarkable, proceeding and ending with both parties meeting all obligations to each other. However, the third time began and continues to proceed poorly, and I want to tell the story. Maybe it will persuade a few persons (including someone at Capital One?) that corporations are not exempt from the problems of poor government. On Friday 27 August 2010, a Capital One representative verbally approved my financing and asked how I wanted a financing document delivered. I asked for over-night delivery. The representative told me that would cost $15, and I told her that would be fine. Five days later, on Wednesday 1 September 2010, I had not received the financing document, so I contacted Capital One by email. The next day, on Thursday 2 September 2010, I received an email response from Capital One. To my surprise, the email stated that they would not mail the financing document until they approved my financing. So I called them and explained to a representative that I thought I was already approved. The representative replied that the original representative was mistaken. I had not yet been approved because they needed more information from me. I quickly gathered and submitted the additional information, and received an email from Capital One later that day, stating that they had approved the financing and would send the needed document. Five days later, on Tuesday 7 September 2010, I finally received the financing document that I had originally expected to receive by over-night mail ten days earlier. Clearly, Capital One had not provided the delivery service that I had requested and for which I had agreed to pay $15. Yet, believe it or not, I received a $15 bill from Capital One within a few days. On 11 September 2010, I emailed Capital One, explaining how they did not provide the service I requested and asking them to waive the $15. I received no response, but I did soon receive another bill for the $15. On 7 October 2010, I emailed Capital One again, requesting a response to my previous message. Again, I received no response, and again I soon received another bill for the $15. On 6 November 2010, I tried emailing them again, and again they ignored me and sent me another bill for the $15. On 12 January 2011, we repeated the ritual. I had received my fifth bill for the $15, and Capital One still had not replied to any of the messages I had sent to the email address listed on their bills. On 5 February 2011, I decided to switch things up and contact them through their web site. Here's the message I sent: "Capital One, why should I pay you for an overnight mail service that you did not provide as described? That makes as much sense as if I were to send you an invoice for $15 to bill you for my time that this issue has wasted." "Dear Lincoln Cannon, Thank you for choosing [to be harassed by] Capital One Auto Finance and contacting us by using our online secure messaging system [thirteen days ago]. "We would like to apologize if your previous experience with a representative or through a secured message was not helpful [and repeatedly ignored] in resolving your issue [with our issue of bills for service we did not provide]. We apologize for the confusion caused by the description line [or by this reference to a description line]. "We will not be able [to gather the collective will to do the right thing and] to waive the miscellaneous [uncategorized for lack of applicability to any identifiable service rendered] fees on your account. These fees will not cause your account to reflect as past due, and they will not accrue interest [because charging interest on fees for an unrendered service is wrong]. You can take care of the [unquantified] late fees [that we're referencing now for the first time] at your [in]convenience by either paying the amount due in full, or in installments by including a small overage over a few of your monthly payments [because we're flexible when it comes to collecting on extortion]. We apologize for any inconvenience. "If we can provide additional assistance, please contact us by using our online secure messaging system or call us on our customer care number at 1-800-946-0332. We will be happy to assist you [or just bill you without assisting you]. Thank you for banking online with Capital One Auto Finance." After receiving yet more bills for the $15, I sent another message to Capital One through their web site on 1 April 2011: "You are ignoring me. Please escalate this to a manager. You have charged me for an overnight delivery service that I did not receive. Now you've repeatedly wasted my time, which is worth more than the $15. I will happily bill you for my time, or we can just call it even. What do you say?" "Dear Lincoln Cannon, Thank you for choosing [to be harassed by] Capital One Auto Finance and contacting us by using our online secure messaging system [five days ago]. "We apologize for the frustration you are currently experiencing and would like to further discuss this with you. A manager will be contacting you within 24 business hours at [my phone number]. If you would like us to contact you at a different number, please respond to this secure message with a number and time at which we can contact you. We look forward to resolving this issue with you in a timely matter. "If we can provide additional assistance, please contact us by using our online secure messaging system or call us on our customer care number at 1-800-946-0332. We will be happy to assist you. Thank you for banking online with Capital One Auto Finance." So far as I know, no one from Capital One called me. In the least, I have not received a voice message or any other kind of message from them since the time they told me they would contact me. Today, I am billing Capital One $1500 for customer service consulting and training. This post is my deliverable. If they use this case study to improve their customer service systems and training, they will realize a handsome return on their investment. 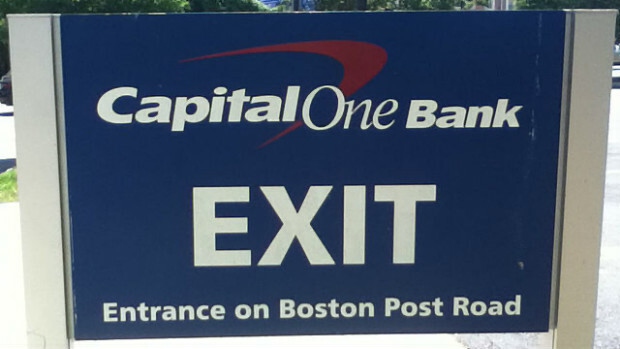 Capital One, to which address should I send the bill?